Kirbies and pickles are, like the chicken soup from those cold winter nights, a part of my history. Their roots reach back under the Atlantic to the once-bustling town of Będzin in Poland, west of Krakow, north of Auschwitz, where I can picture my great-grandparents picnicking together beneath the hill that held the old Great Synagogue, next to the gentle rush of the Przemsza River. They are summer weekend mornings running into the back garden of my childhood Long Island home, barefoot, before my grandpa arrived for a visit. My still sharp eyes would scan the vines, my small hands lifting leaves, searching for kirbies still young, but mature enough to be plucked. Bumpy, prickly, smelling of green. They are kosher deli dinners — turkey and rye, a Dr. Brown’s cream soda, with a giant bowl of sours and half sours and one pickled tomato that needs to be refilled once, maybe twice during our meal. 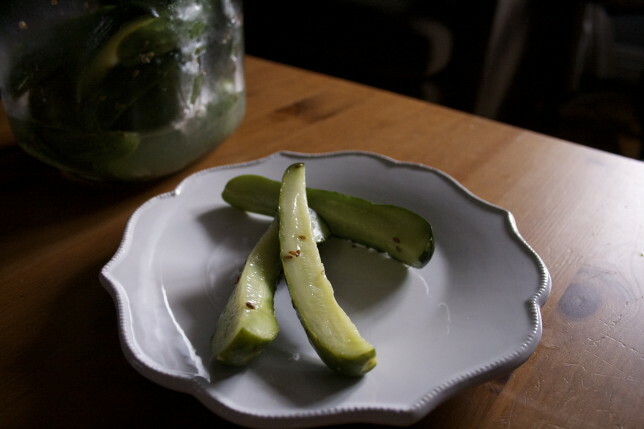 I grew my very own, very first kirbies as a grown-up in my shady backyard in Jersey City, and was over the moon when my small plants yielded five tiny, perfect little cucumbers. I picked them early — maybe too early in my haste and my joy — and enjoyed them warm from the sun as a side to a tomato and mozzarella sandwich. But because they do need sun, they never did well there, as they never did well in my parent’s rocky and shady backyard in northwestern New Jersey. I turned back to the farmer’s markets. There, I bought my weekly fill of kirbies — so long as they didn’t grow them too large, as some farmers are nonsensically wont to do — as well as sour pickles and new pickles from the local pickle man. And then I moved to Astoria. You’d think that as a relatively central part of New York City those pickles would be easy to come by. But my neighborhood is Greek, the salty sides are olives, and the farmer’s markets are still too young for pickle folk. So two years ago, I re-embarked on a quest my dad had begun with my grandpa in the mid-80s and tried my hand at pickling. I was too good for refrigerator pickles — I wanted the real deal. Sours so sour they turn sweet as you chew. 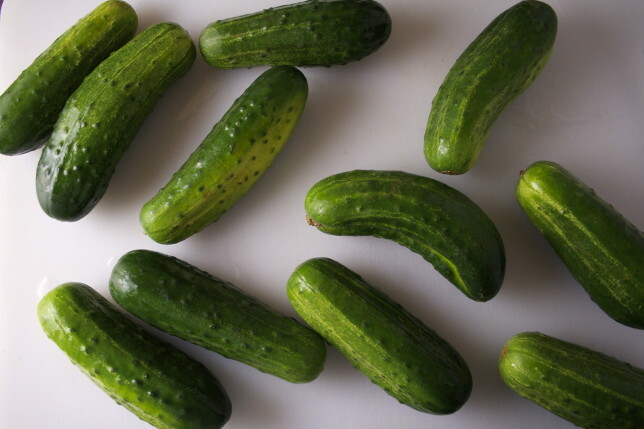 True, sour pickles — the kind of you pluck out of barrels at Guss’ on the Lower East Side — are made by lacto-fermentation, the process by which sugars are converted to lactic acid. 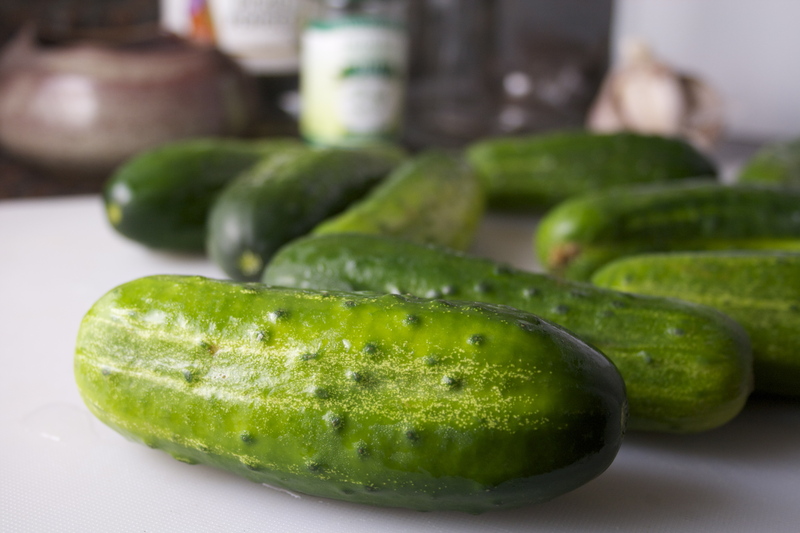 Which means: you sit your cukes in a jar or crock of salted water, garlic, and spices, on the counter, for days. You skim off scum, worrying all the time that they’ve gone bad. The smells can’t be right, you think. But they are, usually. It’s just the bacteria (yes, but the good kind) working their magic. Still, you ideally need a cool kitchen, and mine is anything but in the summer. After two batches I decided to wait and try again when I actually have an air-conditioned kitchen — someday. Which is why when Smitten Kitchen posted a recipe for the “Easiest Fridge Dill Pickles” last year, I had to try it. 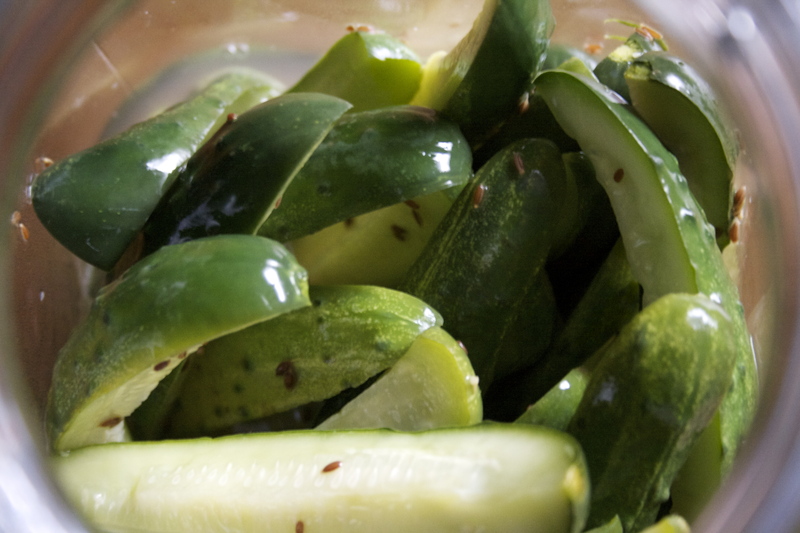 Unlike lacto-fermentation, refrigerator pickles are fermented with vinegar. They pickle within hours instead of days (though a longer wait will yield a stronger-tasting pickle), in the fridge. 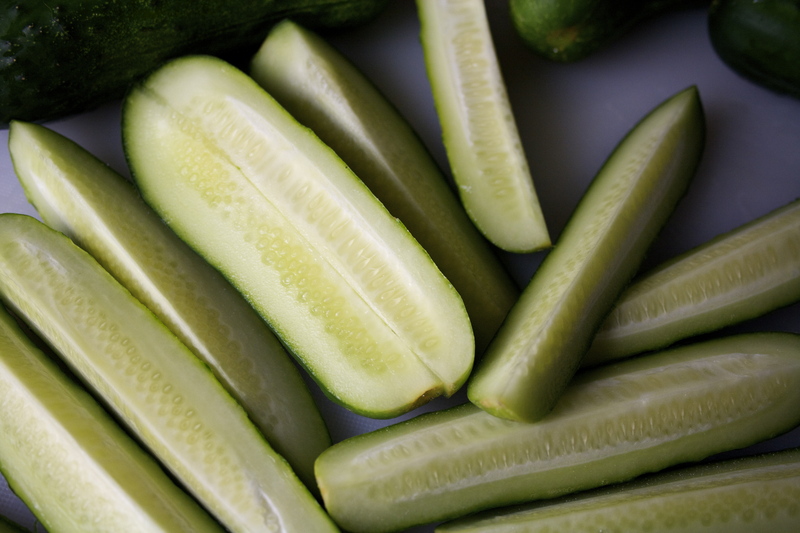 And though certainly they aren’t a true sour pickle, they’re fresher-tasting, closer to a half-sour or a new pickle. Still crunchy like a fresh kirby but garlicky and tangy like a real pickle . I happily eat these with sandwiches, as a snack, as a post-run salt-replenisher. And by happily, I mean I eat many — I mean I can’t stop. I tried making these with supermarket kirbies a couple of weeks ago when I was anxious for kirby season to begin, but it was a flop: too big, too seedy, and who the hell knows how long they’d been refrigerated. 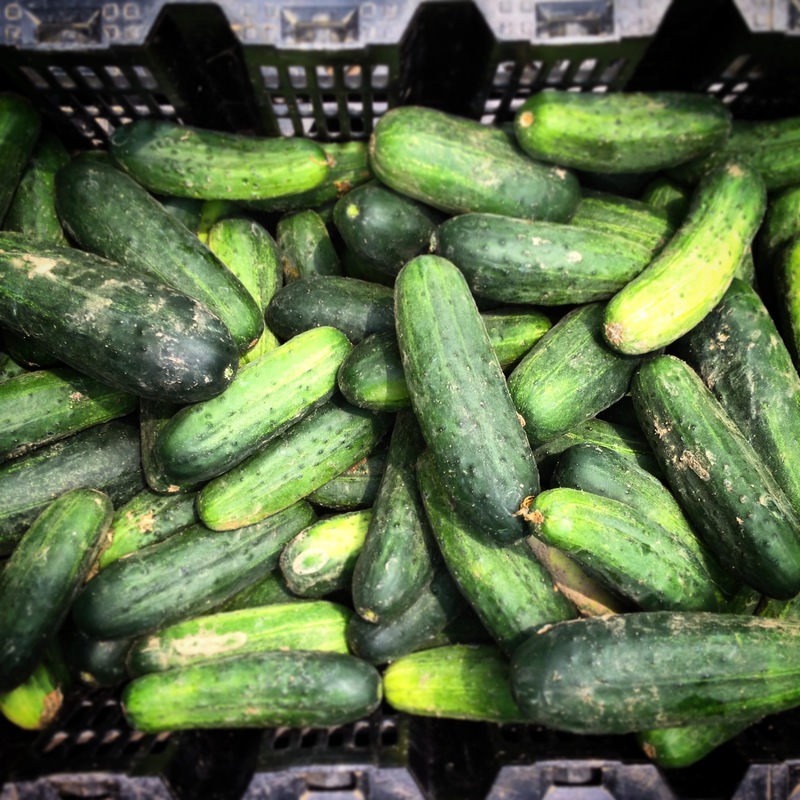 If you’re not picky, that’s fine, but if you use the right ones when they’ve been freshly picked (and by the right ones, I mean small — no more than 4 or 5 inches in length and not too fat), you’ll be blown away by the pickles they create. 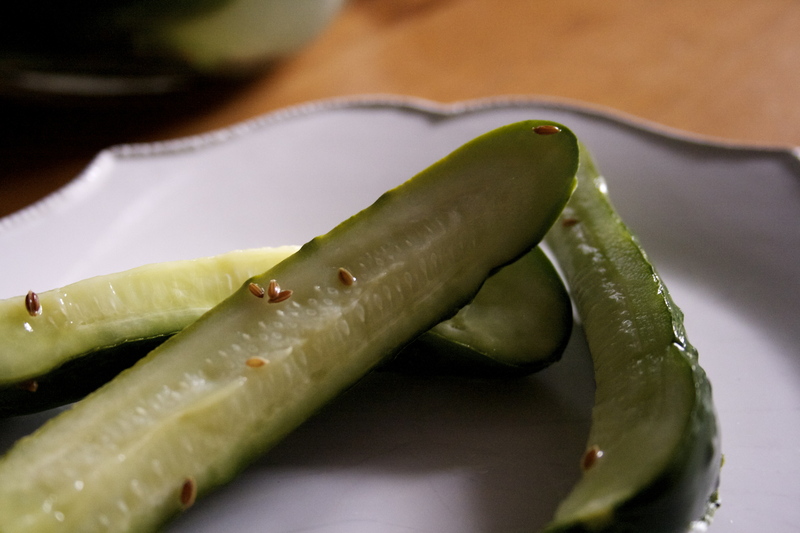 They’re everything a pickle is supposed to be. Just be sure to buy enough — once you discover the taste of them raw, sprinkled with salt, you may not have enough to pickle. Seriously, buy kirbies or pickling cucumbers. Stay away from the big ones. They should be small (no more than 5 inches), firm, and relatively thin, with bumpy, prickly skin. The freshest ones will be spiny. Use the freshest ones you can find, and get them pickled as quickly as possible before they start to wrinkle and soften. Peel them for eating fresh, leave the peels on for pickling. 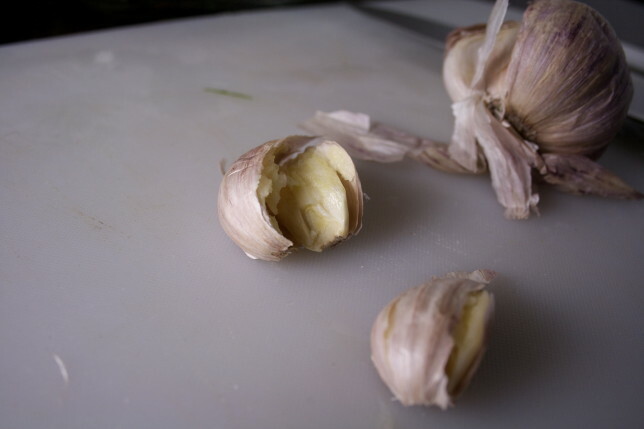 When pickling, scrape off as much of the blossom end as possible. The blossom (which will now just be brown or have the remnants of brown) has an enzyme that softens the kirbies. Scraping it down to the green will keep it as crisp as possible. Store fresh kirbies in the fridge in an open bag. Keeping the bag closed or tied shut may result in slimy kirbies — gross. On this gorgeous day, when kirbies are new, and pickles are jarred, all my troubles melt away. I smile. I am that haphazard little girl running into the backyard in anticipation of her grandpa’s visit all over again. Anything, everything is possible. I like my pickles as close to the traditional sour pickles of my youth as I can get. This means that I use a good amount of garlic and the maximum amount of salt Deb Perelman suggests (which was her original amount, I think). 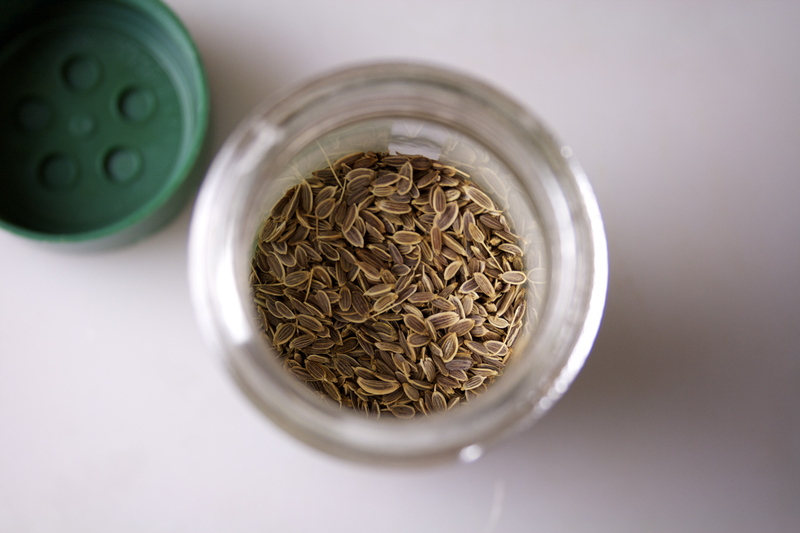 I’ve switched out fresh dill for dill seeds, since I’m just not quick enough to use all the dill before it goes bad, and from what I remember, traditional sour pickles have seeds in their brine — not fresh herbs, but of course it’s totally okay to use those, too. You could also throw in some mustard seeds, or some peppercorns if you want a bit of heat. Wash the kirbies and scrape off the blossom end. I like to slice them into spears by quartering them lengthwise. Place everything in a large jar (I like the kind with rubber gaskets, like this 3L one, but you can use screw-on caps), and shake, shake shake. There will be a surprisingly small amount of liquid on the bottom. Not to worry, the salt will pull out more moisture from the kirbies, creating the perfect brine. Place in the refrigerator. Some time later, give the jar another good shake. Shake it a few more times as you think of it for good measure. I like to shake it every time I go in for a pickle, just to redistribute the brine and coat the pickles before I take one out. The pickles are ready in a few hours but even better a day or two later. They will last in the fridge for up to three weeks. I loved this blog post! I have ben searching for kirby cucumber seeds so I can grow my own (i live in Arizona) and cannot find them anywhere! 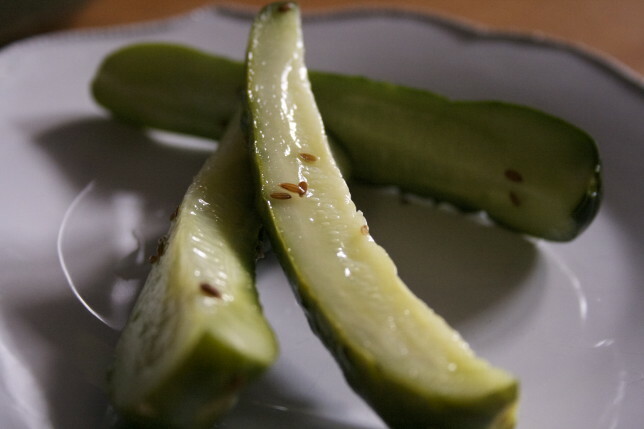 I can find all kinds of pickling cucumber seeds but not the kirby. 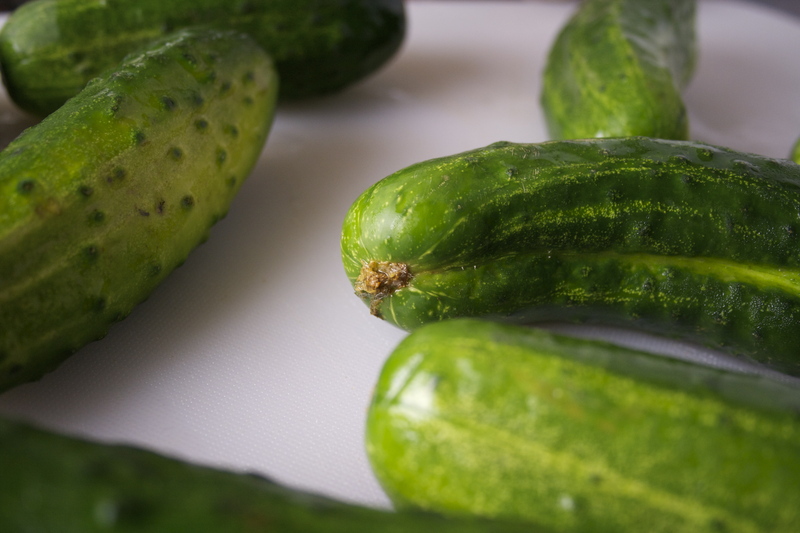 That to say — I think any pickling cucumber would be delicious!